Sabathia got his 147th loss. 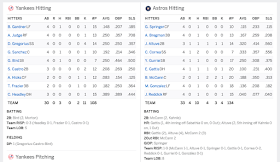 33 at bats for the Astros. 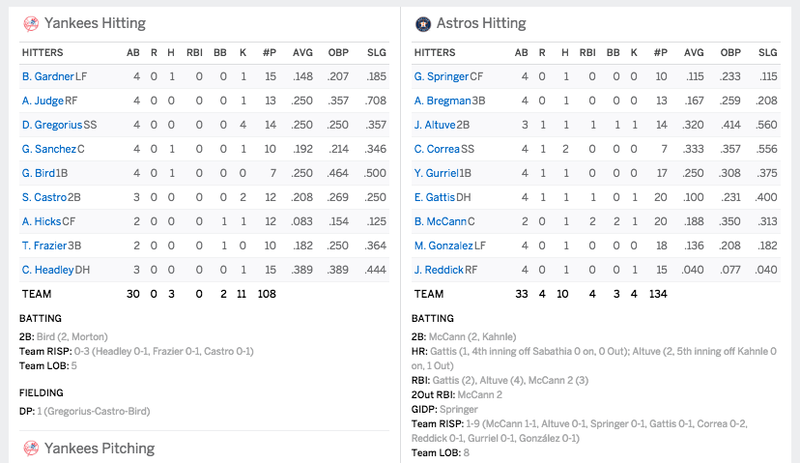 The series was at 3-3, with CC (33) on the mound, vs 33 year-old Charlie Morton. 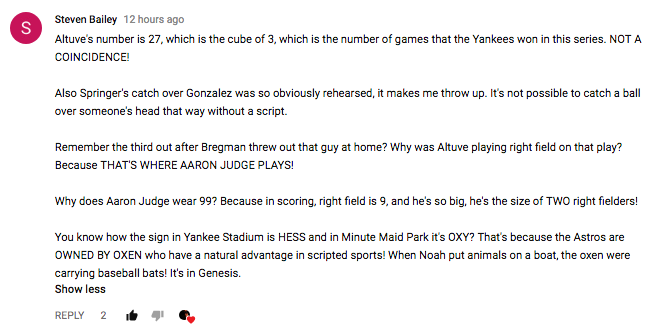 108-pitches! How low is that! Remember, L.A. burned, Houston flooded, and the woman in Houston said she felt like she won the World Series. 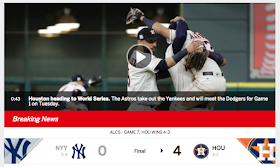 Remember, the first game in Houston after Harvey, came 52-days before the start of the World Series.